You probably have a favorite season. Have you ever wondered what causes the seasons, though? You probably know that the Earth spins on its axis every day, making a complete turn. When the Earth is facing the sun, it’s day. When the Earth is turned away from the Sun, it’s night for that part of the globe. 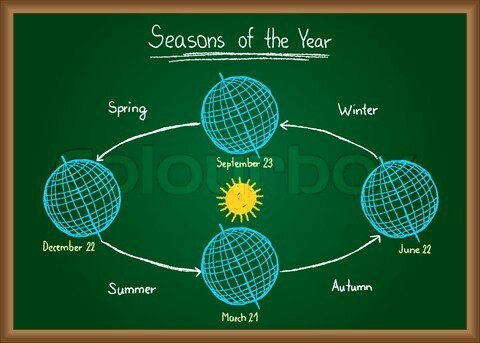 All about Seasons: Due to traveling of Earth Around Sun, 4 Seasons are formed in one Year. In addition to this daily turning, the Earth also travels around the Sun once every year. As the Earth travels, its position in relation to the Sun changes. Sometimes, the Earth is tilting towards the Sun, which causes summer. When the Earth is tilted away from the Sun, winter comes. The funny thing is that when the northern part of the Earth moves away from the Sun, the southern part of the Earth is experiencing summer. When it’s Christmas in America, it’s summer in Brazil. Winter weather arrives in June in Australia, just as you’re pulling out your flip flops and swimming suit. Spring is usually rainy. People start planting gardens. June 21 marks the day when the Earth is turned the most toward the Sun. This is known as Summer Solstice. 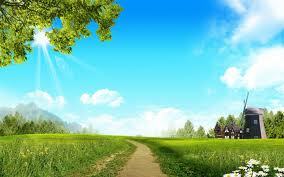 It is the longest, sunniest day of the year. December 21 marks the day when the Earth is turned the farthest from the Sun. This is known as Winter Solstice. It is the shortest, darkest day of the year. In places like Arizona and Texas, the seasons don’t change much. Some plants stay green all year round and it doesn’t usually snow. These places have a wet, rainy season during the summer, known as monsoon season. 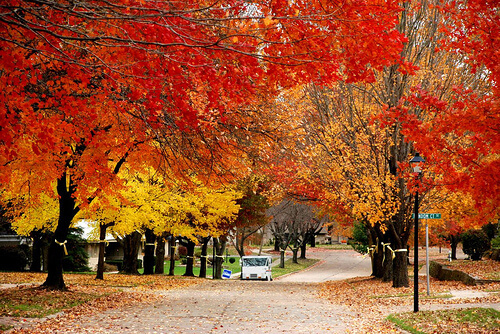 Plants and trees lose their leaves in response to the shortening days and cooler temperatures of fall. Trees and plants open new leaf and flower buds as the weather warms in spring. Winter is a hard time for animals. They have a hard time finding food. Many hibernate or sleep more. Summer is usually warm and mild. This is the season when most of the food we eat grows. In the fall, people harvest vegetables from gardens and fruit from orchards. A video song about the 4 seasons of the year. 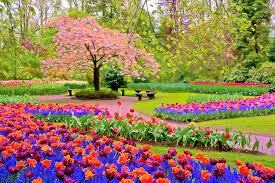 Question: How do the changing seasons affect people? Answer: Spring is usually rainy. People wear rain coats and boots. They start planting gardens. Summer is usually warm and mild. This is the season when most of the food we eat grows. Farmers are busy working all summer long. In the fall, people harvest vegetables from gardens and fruit from orchards. They get out blankets and put away summer toys and tools. 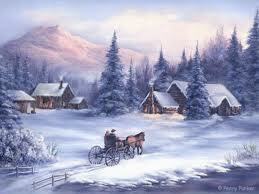 In the winter, people spend more time indoors. A hundred years ago, people ate the food they had grown and saved during the summer. Today, we can get fresh food from the grocery store year-round. Enjoyed the Easy Science for Kids Website all about Seasons info? Take the FREE & fun all about Seasons quiz and download FREE Seasons worksheet for kids. For lengthy info click here. Declan, Tobin. " Fun Four Seasons Facts for Kids ." Easy Science for Kids, Apr 2019. Web. 26 Apr 2019. < https://easyscienceforkids.com/all-about-seasons/ >.